2018 had everything in the football world – World Cup, Champions League final with everything, Europa League with heroes and villains, Arsene Wenger retiring, Mourinho sacked by Manchester United, Mbappe shining and many many more. 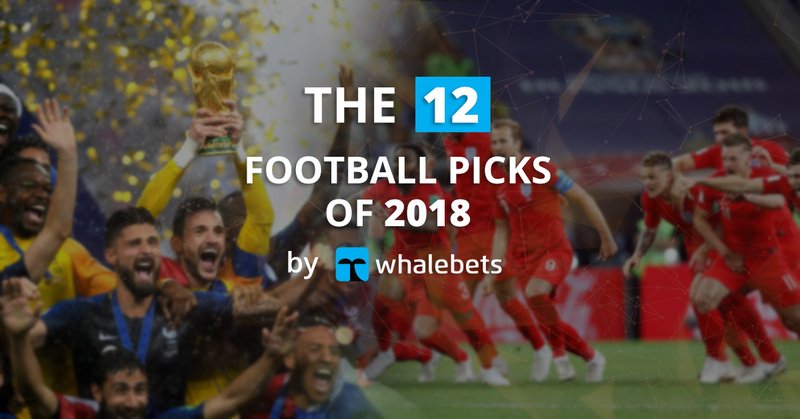 Take a look at what the WhaleBets team picked from the past 12 months in what was a tremendous footballing year! Liverpool announced early in January 2018 that they’ve reached an agreement with Southampton over the record transfer of the Dutch centre-back Virgil Van Dijk. This certainly raised a few eyebrows, and many criticized Klopp for overspending, but the impactVirgil had on Liverpool was clear – he helped the team reaching the Champions League final, began the 2018-2019 season in a commanding style by being top of the Premierleague at the end of 2018 and some impressive figures: Before his first game, Liverpool conceded 1.2 goals per game and kept a clean sheet in just 32% of their games. Since they signed him that goals per game figure has dropped to just 0.5 and have kept clean sheets in 57% of matches. Julen Lopetegui surprised everyone after he publicly joined Real Madrid just one day before the World Cup. He had guided his Spain and impressed over the qualifying stage, but he decided to accept Real Madrid’s offer to replace Zinedine Zidane. We will not argue with his decision, although he might have informed his current employers from the Spanish FA. The Spanish chiefs decided to fire Lopetegui and put Fernando Hierro in charge just 1 day before the World Cup. Spain never made it there and failed to impress. Lopetegui’s reign at European champions Real was cut short after a poor start of the season – so it turned out bad for all sides involved – Spain, Lopetegui and Real Madrid. In yet another year dominated by Cristiano and Leo Messi, the pair managed to break another number of records, but what is interesting is what remained to be done by the pair in 2019. Cristiano moved to Juventus and became integral figure straight away. Di Stefano and Puskas have 7 goals each for the legendary Real Madrid side, Messi (2) and Cristiano (4) must improve if they want to reach records. Iker Casillas has 184 apps in all UEFA competitions, and both Ronaldo and Messi could surpass the legendary Spanish goalkeeper – with 129 and 109 respectively. The current record is being held by Ryan Giggs – 16 seasons in a row. Messi scored in 14 successive campaigns and Ronaldo scored in his last 14 – and 14 in total. Both can thus match Giggs’ tally in 2020/21. Pep Guardiola’s side impressed in the 2017-2018 season, and Manchester City won the title easily with a bunch of records being broken. Gabriel Jesus scored in the final minute of the last game of the season away at Southampton to make it – 106 goals scored, 32 wins out of 38 games, positive goal difference +79. Talk about the dominant title win! Joachim Low kept his place in charge of the German National football team despite early World Cup exit in the group stages. The defeats against Mexico and South Korea was one of the highlights of the tournament, and many who picked Germany for the title was disappointed that their pick failed to reach the knockout stages. Leroy Sane was the questionable decision by Low to leave out the Man City winger. The Germans lacked goals and threats in attack and the likes of Muller, Werner certainly had a tournament to forget. So could Low and the Germans win the fans back? Kostas Manolas completed one of the greatest comebacks in the history of Champions League by nodding a header from a corner. The Spanish giants went ahead comfortably after the first leg – winning 4-1 and holding a pole position before the 2nd leg. Goals by Edin Dzeko and Danielle De Rossi gave the Italians the hope of a miracle, and that happened when their Greek centre-back scored the winning goal. The crowd at Olimpico erupted after the final whistle and history were written. Roma then failed to overcame Liverpool at the semis, but the memory of a famous comeback will remain forever. It was a moment everyone expected for numerous years, but a moment no one was prepared for. Even biggest Wenger critics had tears in their eyes at Wenger last games in which the Frenchman said goodbye to the Gunners after building his dynasty in North London. The Invincibles record might not be broken, so Wenger and his team will remain in English Football history. After winning everything with Real Madrid and breaking all goalscoring records (almost), the Portugal star decided it’s time to leave. Ronaldo won 3 times in a row the Champions League, and with a Manchester United success earlier in his career, the chance to win the most prestigious club competition with a 3rd different club was enough challenging for the star. On the way to securing the trophy Real eliminated Juve and Ronaldo scored one of the goals of the year – a stunning bicycle kick which was applauded by the Italians fans. Four months later, the Portugal star is bossing the Serie A.
Gareth Southgate got the nation united, and the young 3 Lions made fans dreaming. It’s coming home became yet again a hit over the summer when Harry Kane & Co. reached the semi-finals only to lose to Croatia. The likes of Pickford, Trippier and Harry Maguire will remain in England folklore after their heroics in Russia. The one particular highlight was that England won a game on penalties on World Cup. If we see that last penalty kick win was in 1996 against Spain, we can expect England to win again on penalties in 2040. Worth the wait? It was just not meant to be for Loris Karius and Liverpool and that night in Kyiv. Liverpool reached their first Champions League final since 2007 and Jurgen Klopp side looked optimistic about their chances against Real Madrid. Karius made errors that might hunt him till the rest of his career, Gareth Bale score a spectacular goal and the match had everything. The highlight was Mohamed Salah getting injured after a clash with Real Madrid villain Sergio Ramos. Was it intentional or not – one of the biggest debates of the year. The VAR was introduced in the World Cup, and the whole world watched whether this would improve the game we all love. Referees mistakes cost hundreds of times a win to all our beloved clubs, but did VAR provided us with an answer? VAR has had a mixed time in Russia, then, but that was always going to be the case given this is the first World Cup in which the system has been used. The news that the technology is going to be used in the Champions League and Premierleague is good for everyone supporting it, and it might change football for good. Didier Deschamp’s side impressed and won the World Cup in a really spectacular manner. Led by one of the greatest footballing generations of football, Les Blues marched their way into winning the cup. Kylian Mbappe certainly impressed the most. The first teenager since Pele to score twice in a World Cup game. The first teenager since Pele to score in a World Cup final. Won the trophy that has eluded Lionel Messi and Cristiano Ronaldo was at the hands of the Paris SG star player. How far can France go from nowon? We will wait and see. 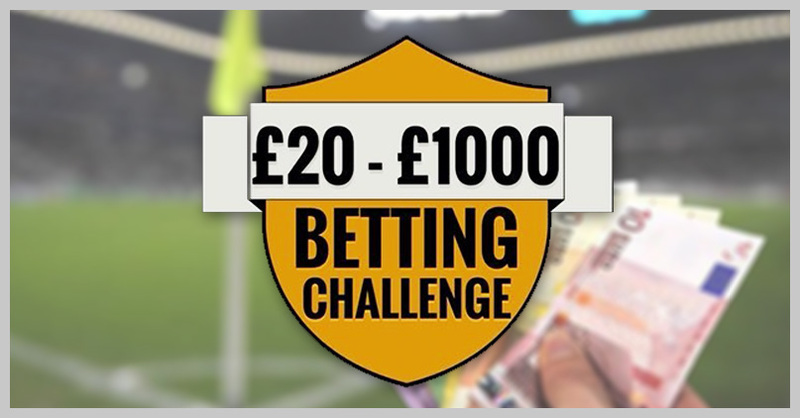 Don’t forget to follow our blog posts and strategies, where you can always find interesting read about football and sports. For daily post, make sure to follow WhaleBets in the social media. Next What has Ole Gunnar Solskjær changed at Manchester United?